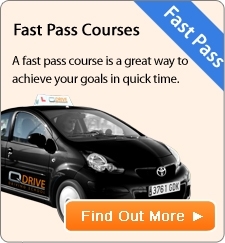 At QDrive we understand that anyone can set up a driving school business, but not everyone can do it well. Any driving instructor can teach you to drive but not everyone does it well. At QDrive we believe in what we do, we strive to do very well to satisfy our customers. We are committed to creating and mainting a company which is constantly growing and improving both internally and externally. We offer the best quality driving lessons in Birmingham, Solihull and Redditch and the surrounding areas that is second-to-none! Delivering high quality driving tuition & going the extra mile in everything we do. Our values are at the heart of everything we do, whether it's creating a new service for our customers or how we look after our team. As a company we value integrity, honesty, openness, personal excellence and continual self-improvement. We are committed to our customers and have a passion for teaching safe driving for life.